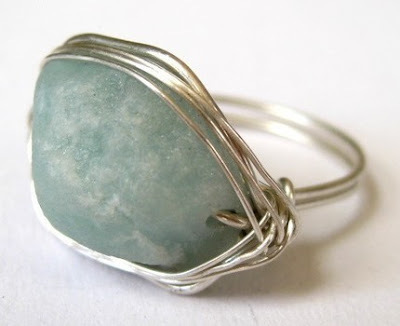 I saw this posted on the Etsy Wedding blog, made on etsy by seller muyinmolly and I was thinking that I would looove a ring like this for my 'somthing blue'. I am wearing pearls for my wedding day jewelry because it's the one wedding thing I've had planned since I was a little girl. How perfect to a. add another ring to my collection, b. fulfill my something blue with anything but a cliche blue garter, and c. stay in my pearl jewelry theme! So why pearls? My paternal grandfather was a jeweler (he's retired)and when each of his granddaughters was born he started an add-a-pearl necklace for them. One pearl for the day they were born and two for every year up to age 18. Then, for my high school graduation they gave me pearl studs. 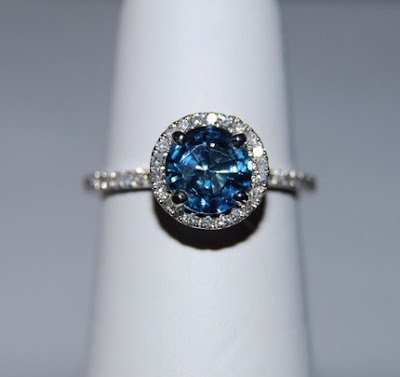 what do you think of these other fun blue rings? And lastly, I've always had a thing for sapphire. 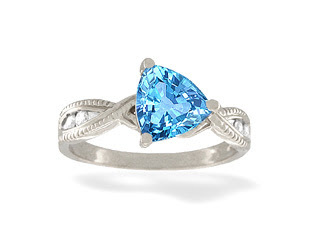 Actually this ring is making my mouth water. $1000! I need to look away. But seriously. I want that ring. The first one is my favorite choice. 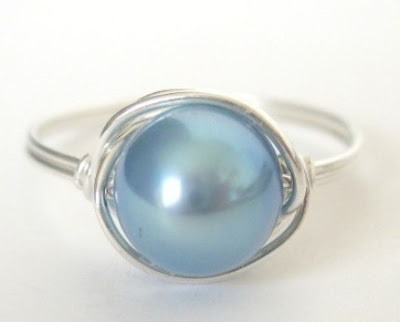 I think it is the most elegant looking and if you're a "pearl" girl then it fits that the best. The second choice would be the sapphire for obvious reasons but the first one seems like something you could wear more. I got a ring kinda like your first one for really cheap from etsy. 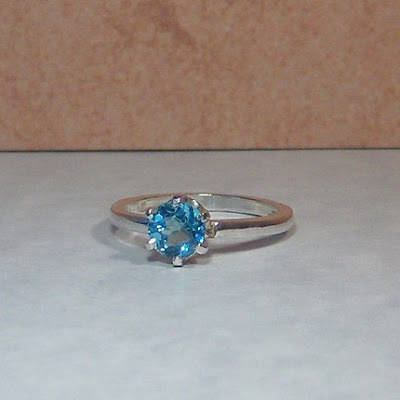 I love sapphires too, so much in fact that's my engagment ring instead of a diamond. I love the one by the etsy seller, muyinmolly. And that last ring...gorg!